Boston Medical Center has recently linked up with HireVeterans.com in an effort to hire as many of our nations heroes as possible. Boston Medical aims to make a difference this year and years to come for U.S. veterans. At Boston Medical Center, all are welcome and treated equally. The best and brightest physicians, representing virtually every medical specialty, choose to work here for the opportunity to make a difference in their community and beyond. Unwavering in its commitment to the community, BMC is a private, not-for-profit, 567-bed, academic medical center located in Boston's historic South End. 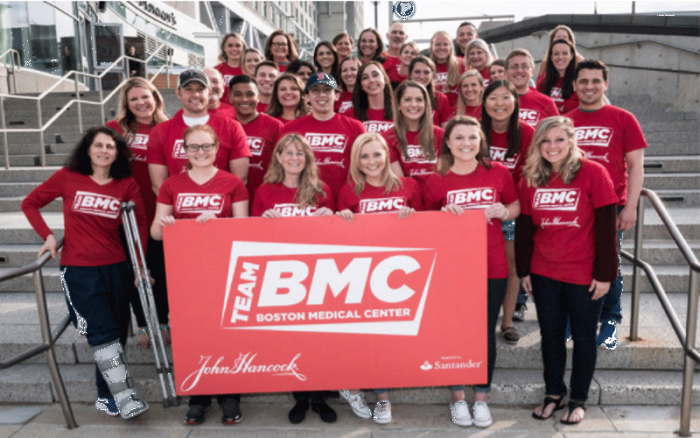 The primary teaching affiliate for Boston University School of Medicine, BMC is the largest safety net hospital and busiest trauma and emergency services center in New England. Seeing more than one million patient visits a year in over 70 medical specialties and subspecialties, BMC physicians are leaders in their fields with the most advanced medical technology at their fingertips and working alongside a highly-skilled nursing and professional staff. No matter who you meet at BMC – from the x-ray technologist to the critical care nurse, the admissions staff to the chief of surgery – everyone is committed to providing quality care to every patient and family member with respect, warmth and compassion. If you are a U.S. veteran looking to get back into the workforce. Boston Medical Center has a spot for you. BMC is also committed to their employees, who are a very important piece to who they are. The company prides itself on providing equal employment opportunity and non-discrimination for all employees and qualified applicants without regard to a person's race, color, gender, age, religion, national origin, ancestry, disability, veteran status, genetic information, sexual orientation or any characteristic protected under applicable law. BMC will make reasonable accommodations for qualified individuals with known disabilities, in accordance with applicable law. Click Here To View And To Apply To All Of Boston Medical Center's Available Positions!